Alvanaki, F, Michel, S, Ramamritham, K, & Weikum, G. (2011). 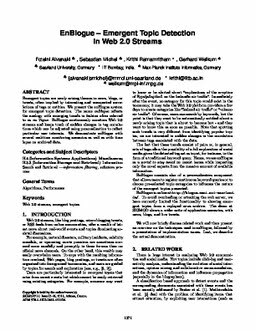 EnBlogue: emergent topic detection in web 2.0 streams. In Proceedings of the ACM SIGMOD International Conference on Management of data (pp. 1271–1274).